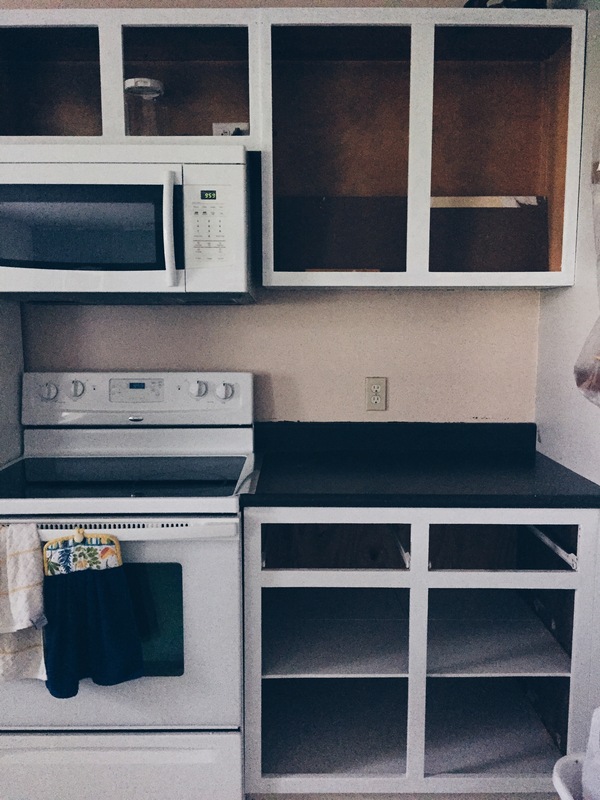 For the past two months, my husband and I have been working on finishing up our kitchen renovation. Throw in having a baby, having surgery, and having kids in general, and it takes for-ev-ER. As in, I’ve been painting cabinets for almost two months probably. But you know, I am going to enjoy the crap out of it when it’s done. Sadly (and annoyingly), we’ve also had to fix our silly design decisions that we made when we first moved in. Such as painting one wall bright, safety yellow-orange. I cringe just thinking about it. We also had to repaint the cabinets that we originally painted when we moved in. The paint was peeling, the sea-foam green underneath was peaking through…not ideal. So as we’ve been updating, we have had ample opportunity to laugh about how things have changed. We’ve gone from bright colors to mostly white and grays. 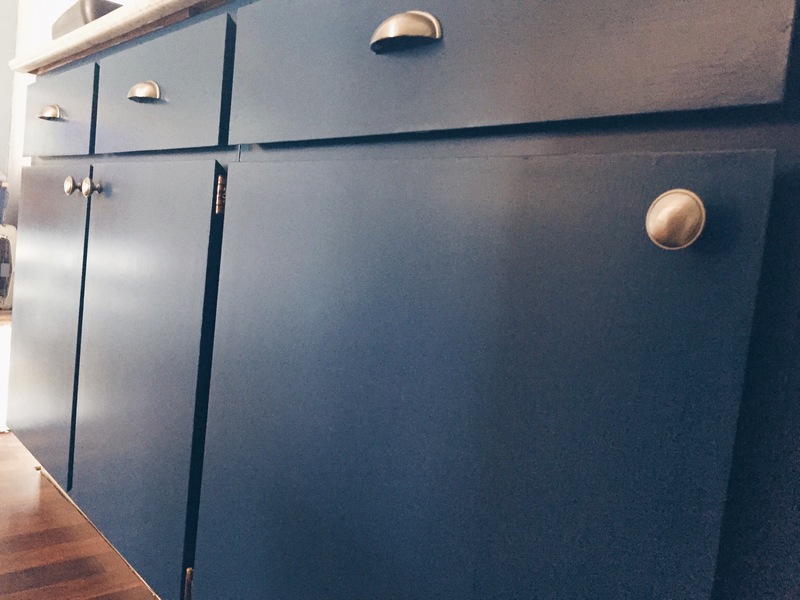 (Aside from our new blue cabinets.) We’ve been making permanent decisions, and also thinking of when we will eventually need to sell. Because you all know I can’t even begin to think of how crazy things will be in this male-infested home when everyone is walking. All that to say: I’m excited to finally feel comfortable in my own skin. Feeling confident in what I like and don’t like. Knowing what works for me and my family. I truly think it took four years to get here, but I also think I don’t mind. I think because I’m turning 25 in only two weeks, I’m reminiscing a bit more about how far I’ve come. There was once a moment in time when I was terrified out of my mind and filled with uncertainty. But today, I feel it. I know me. And I like her. And my kitchen is going to be darn pretty. 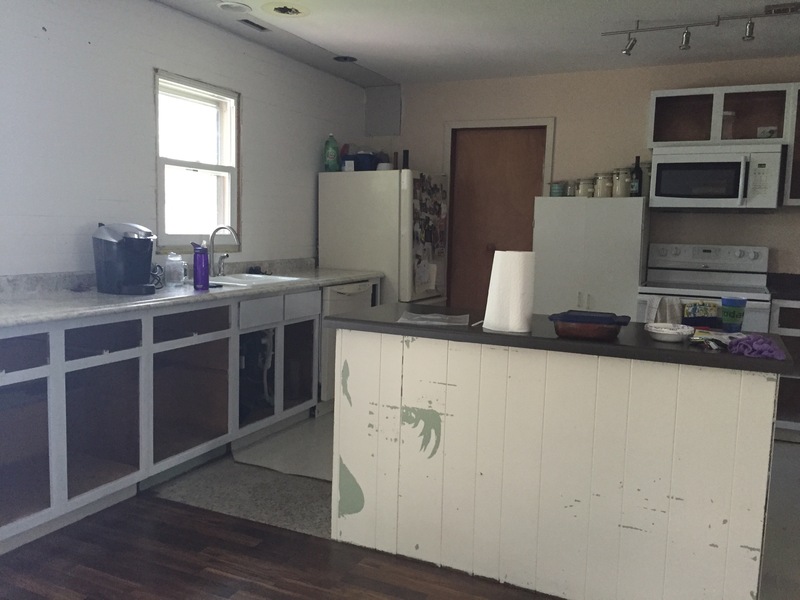 Reading all recounts and noting all tips on kitchen redo! Good luck! 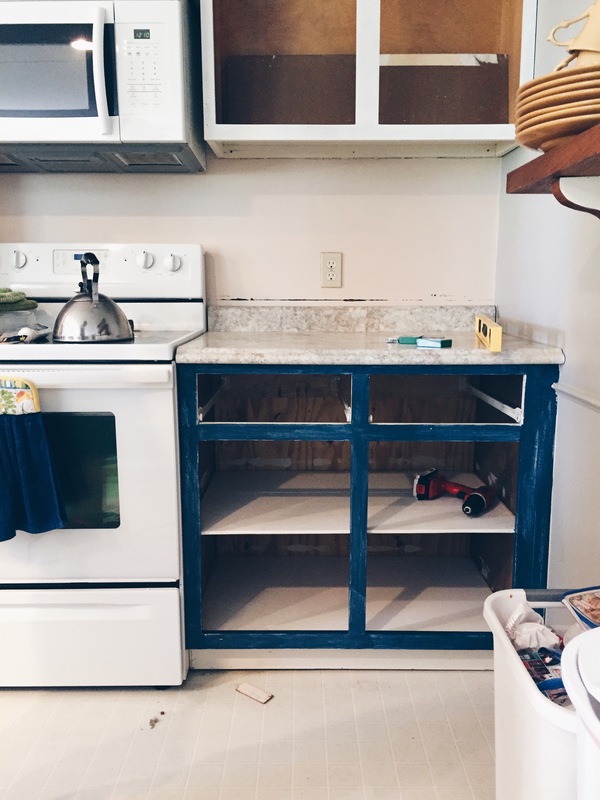 Redoing our kitchen has been one of my favorite projects, but definitely takes a lot of time! Looking forward to seeing what you come up with. 😊 thanks for reading!